I don't really expect statists to listen and learn from anything I write. Yes, it has occasionally happened, but it's not something I count on. They don't want to hear that "taxation" is theft, or that anti-gun "laws" are slavery, that nothing can give anyone the right to prohibit others from using drugs, or that if you punish someone for something that "might" happen, YOU are the attacker. They don't want to hear that no matter how many people agree, those people can't make a right out of thin air, and they can't transfer an imaginary right created in this way to someone else to put it into action on it on their behalf in the name of "authority". This kind of news makes them very unhappy. It puts a monkey wrench in almost everything they want to do to others. But I know it's true, and I suspect you do too. So I speak to you while I speak to myself. Statists are welcome to listen in, but I'm not going to water down the truth to spare their feelings. 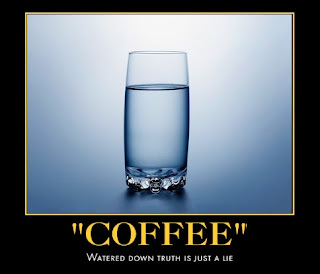 Watered down truth is just a lie. Too many have been coddling them in this way for far too long, to be "nice", and look where it has led. Those clowns now believe they are the reasonable ones!